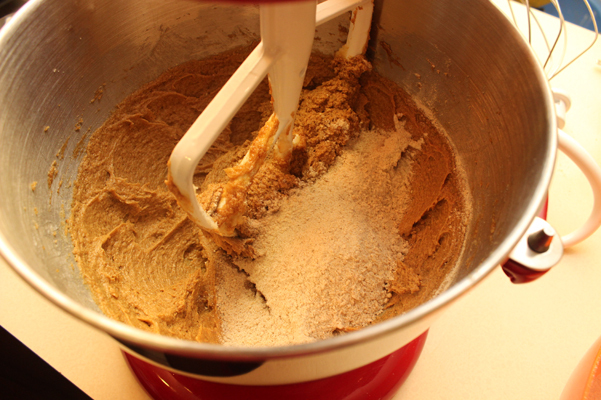 I am usually all about healthy baking, but the truth must be faced, and embraced: it’s Cookie Season. 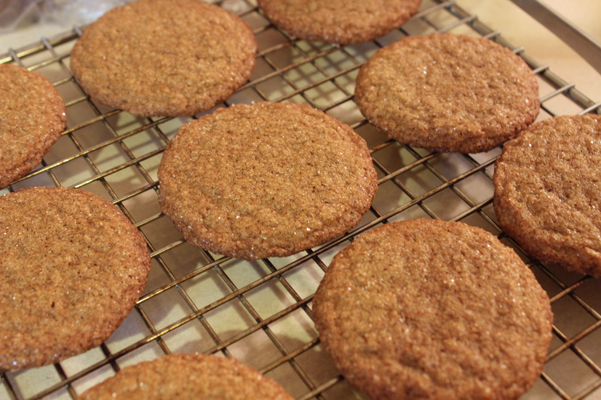 It’s cold outside, the kids have a lot of time off, and on a fall-that-feels-like-winter afternoon, these Big Soft Ginger Cookies seem wonderfully inevitable. 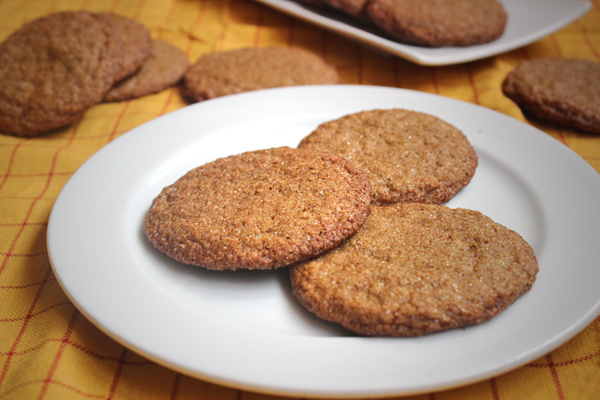 A bit of crispness on the outside, soft ginger on the inside, and deep cookie satisfaction. The only thing that made the kids enjoy these more was the addition of some vanilla ice cream and the creation of Big Soft Ginger Cookie Ice Cream Sandwiches. 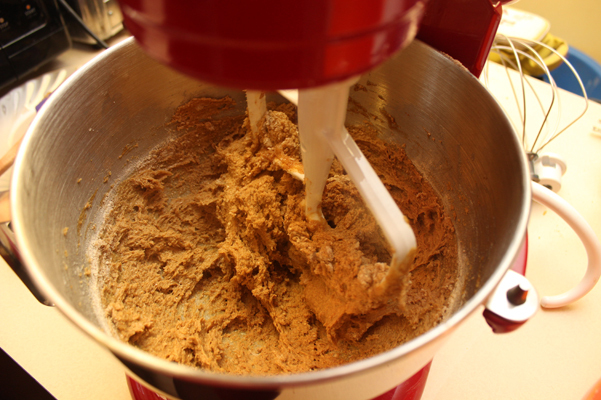 I used whole wheat white flour and wheat germ instead of all purpose flour, then added ginger, baking soda, cinnamon (which I increased slightly), cloves, and salt. 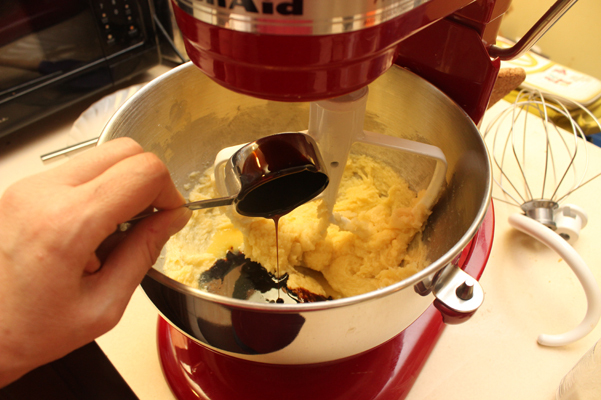 In the stand mixer, I creamed together butter and cane sugar. I beat in the egg, then the orange juice and molasses. 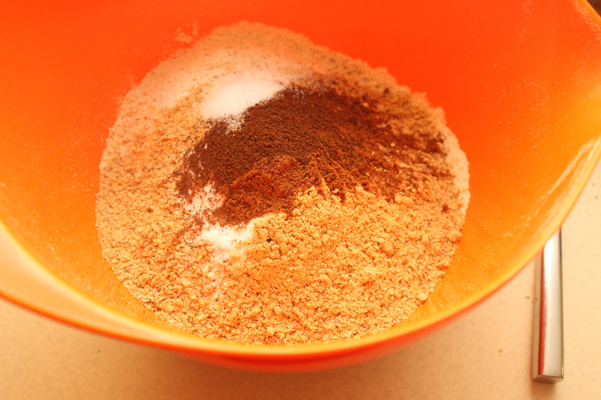 It was time to add the dry ingredients. I did it in two batches, to avoid excessive flour poofing. 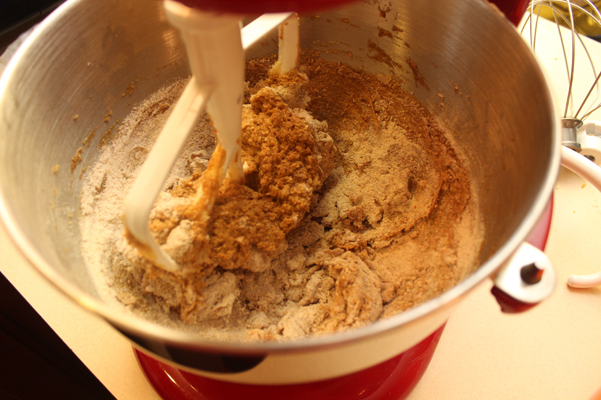 Once both batches of flour were in and well incorporated, I had a working batter. 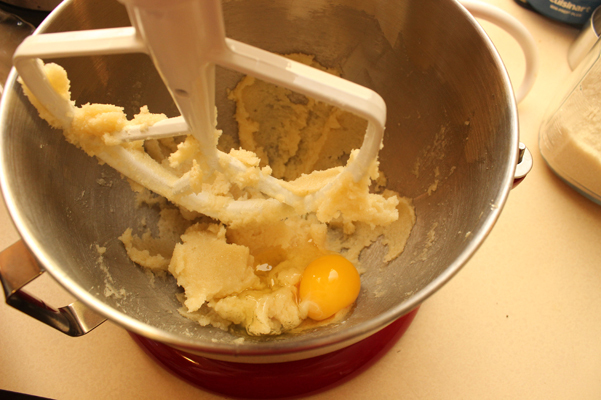 I also had a very sticky batter, so despite having no instruction to do so, I chilled it for about 40 minutes. 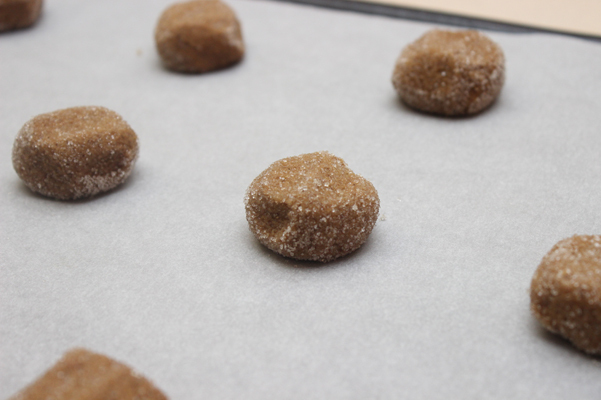 Once it was firmed up, I used a cookie scoop to get even-sized portions, rolled them into balls, rolled the balls in turbinado sugar, then flattened them slightly. They spread quite a bit, which is just what I was hoping for. 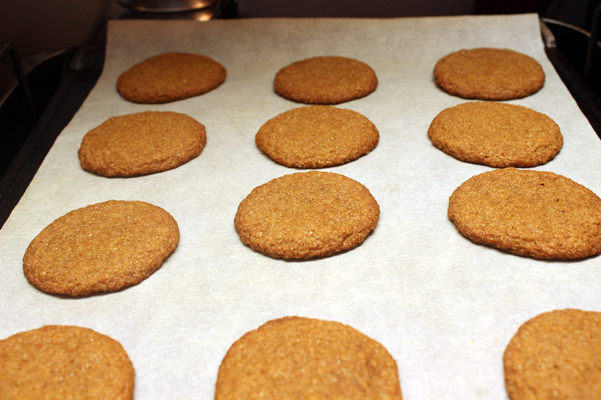 Mine took 12 minutes to bake just right, and I let them stay on the cookie sheet for another 5 before moving them to a cooling rack. And the taste? Delicious. 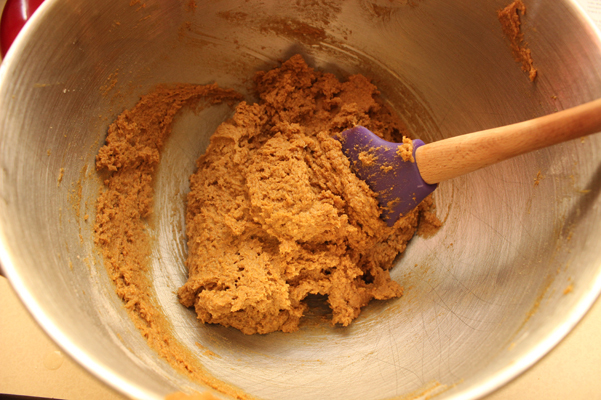 Gingery sweet. They are soft on the first day, then a little more chewy on the second, which is different but just as good. 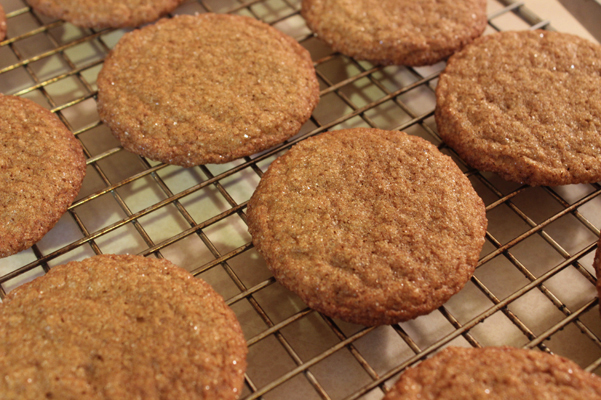 The sugar on the outside gives them a nice sparkly crunch, too. 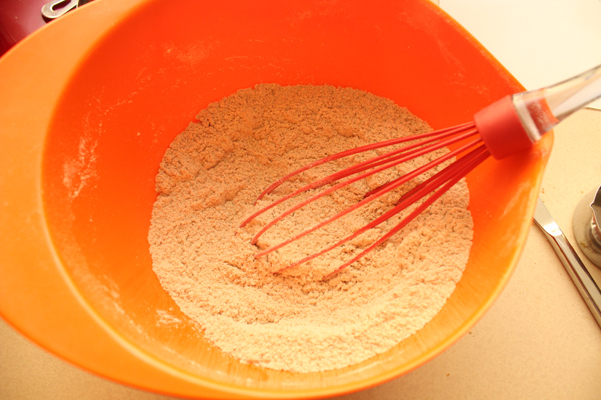 In a medium bowl, whisk or sift together the flour, wheat germ, baking soda, cinnamon, cloves, and salt. 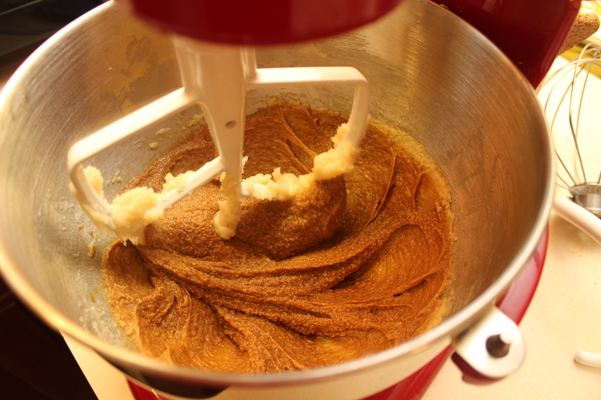 Using a stand mixer, beat the butter and sugar on medium speed until light and fluffy. Beat in the egg. Add the molasses and orange juice, and beat again. 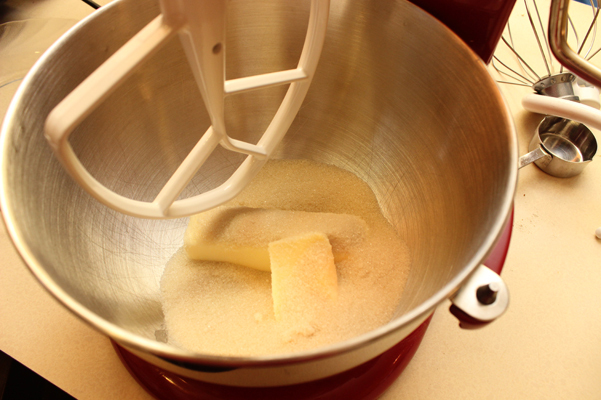 Add the dry ingredients in two batches, beating on medium speed just until incorporated. 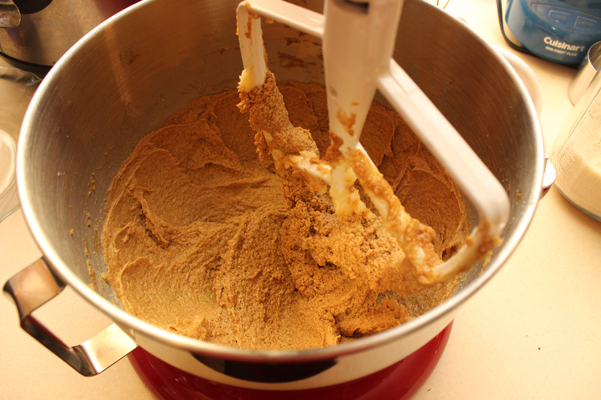 Scrape around the sides and bottom of the bowl to make sure it is well mixed. Chill dough for 30-40 minutes. Heat oven to 350 degrees, and line a couple of cookie sheets with parchment paper. 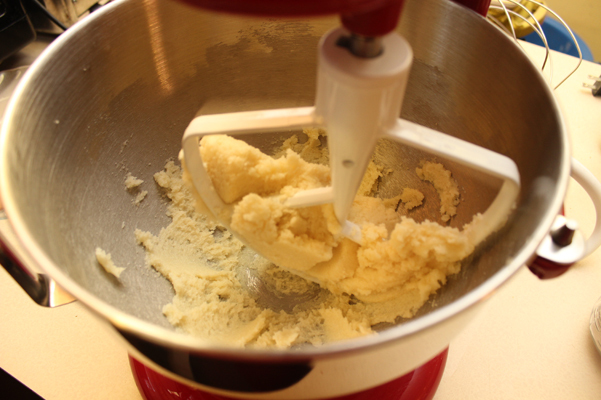 Using a cookie scoop (or any spoon to ensure uniformity in size), scoop out the dough and roll into small balls, then give them a spin in the turbinado sugar. Place about 2 inches apart on cookie sheet. 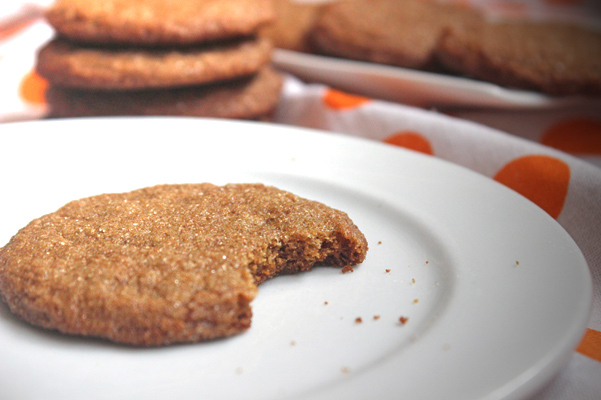 Bake for 7-10 minutes, until they start to brown and the cookie keeps its shape when you gently push in the edge. Give them another five minutes on the baking sheet once they’re out of the oven, then move to a rack to cool. 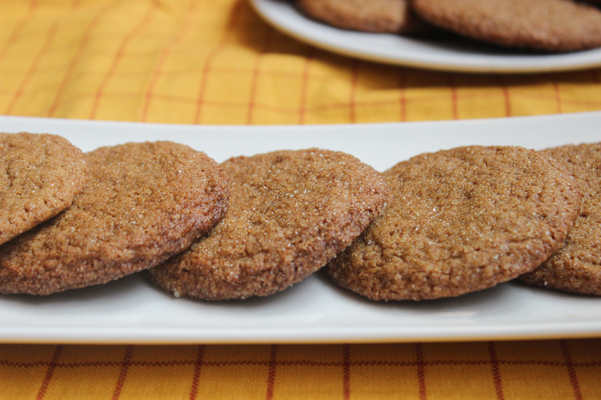 Serve plain, or go nuts and make ice cream sandwiches with them.